provocative design and intuitive service in some of the world's most sought-after destinations. DISCOVER THE VICEROY STORY, AND THEN START YOURS. Viceroy Hotel Group inspires travelers with one-of-a-kind authentic lifestyle experiences that bring together provocative design and intuitive service in sought-after locations. A leader in modern luxury, Viceroy’s vibe-led hospitality is guided by the brand promise “Remember to Live,” an affirmation to create lifelong memories for each and every guest. Viceroy destinations are segmented into three distinct portfolio tiers to help travelers find exactly the kind of experience they’re looking for. 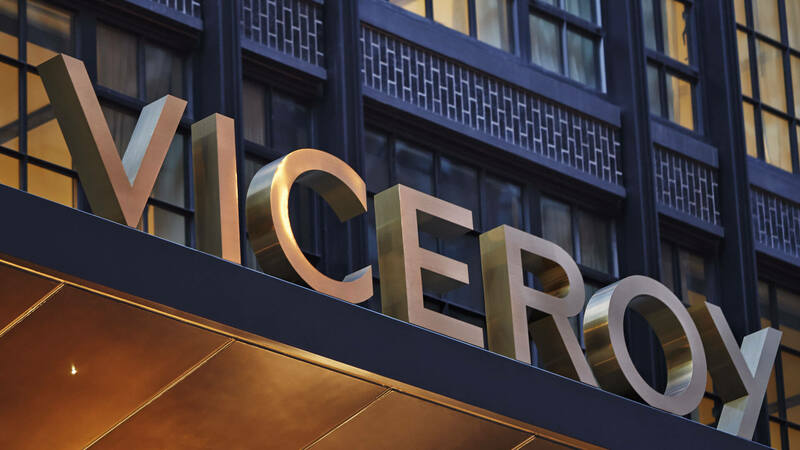 The Viceroy Icon Collection properties include epic hotels and resorts in Chicago, Abu Dhabi, Beverly Hills, Riviera Maya, Snowmass, and St. Lucia, with forthcoming openings in Algarve, Buenos Aires, Istanbul, Panama, Cartagena, and Vietnam. The Viceroy Lifestyle Series hotels and resorts are found in attitude-led destinations including New York and Santa Monica, with a forthcoming opening in Serbia. The Urban Retreat Collection properties in San Francisco and New York have an independent spirit and bold, eccentric personalities. Viceroy Hotel Group is a member of the Global Hotel Alliance (GHA) DISCOVERY, a unique loyalty program offering exclusive benefits and experiences to its members at over 550 hotels around the world. For more information, visit www.viceroyhotelsandresorts.com. Follow Viceroy Hotel Group at facebook.com/viceroyhotelgroup and on Instagram and Twitter @viceroyhotels. Get started in 10 seconds! The Viceroy DISCOVERY program offers three levels of membership: Gold, Platinum and Black. These levels are based on the number of nights you stay at Global Hotel Alliance hotels across the world. The more nights you spend with us, the more amazing your membership benefits and local experiences will be. It is easy to join and you will start earning benefits on your first stay. Viceroy Hotel Group inspires travelers with one-of-a-kind authentic lifestyle experiences that bring together provocative design and intuitive service in sought-after locations.